Let’s see those hands up programmers! It’s Andy Gesner and the HIP Video Promo gang with a serious indie hip hop injection that will make you want to quit your job and become a full time rapper even if it’s not your style. Out of Murderapolis, also known as Minneapolis, Minnesota, comes a new independent powerhouse that will certainly make an impact in the mainstream hip hop market – J-flo. With his latest single “Fire Hot,” this multi-faceted rapper and businessman is lighting up the society and taking the music process into his personal hand and uses nothing but the best in doing so. J-flo is one of those artists that puts his trust into the age old saying: “If you want something done right, do it yourself!” His brand new single “Fire Hot” is not only written, produced, co-engineered and co-mixed by J-flo himself, but also released on his own fully self-operated and successful indie label, Unify Records. The song is jam packed with think and thumping bass to get any party swirling with motion and features trendsetting slang that’s going to surely stick with anyone who hears the song. Hip hop culture is about setting the trends for the mass population, and J-flo is ahead of the pack, avoiding already established verbal conventions and, instead, treading into new territory. This sort of bright and passionate drive has allowed J-flo the chance to work with some of the coolest names in studio recording. The definitely driven rap debutante has worked with world renowned multi-platinum mixing engineer Neal H. Pogue (TLC, Outkast), multi-platinum album mixer Lance Pierre (2Pac, Eminem), Bernie Grundman and Brian “Big Bass” Gardner, Dr. Fink & Bobby Z, Richard “Segal” Huredia (Dr. Dre, Eminem). J-flo also earned the rights to record his music at the famous Mix Room and Paramount Recordings! Amongst his collages J-flo has worked on and has features with some of raps elite artist including: WC of (Westside Connection), Daz Dillinger (The Dogg Pound), Tech N9ne (Strange Music), C-Bo (Westcoast Mafia), Yukmouth (The Luniz) to name a few. J-flo’s reach extends into his video, as he summoned the superhuman directing powers of one of the most creative (and our personal favorite) music video directors, Mr. Justin Staggs! Knowing Staggs is behind the camera is like having the craftsmen at a prestigious motor company build you a car – not only is it going to work magnificently, but it’s going to magnetize everyone who looks at it. The clip finds J-flo wearing platinum with black & white diamonds, Depositing large amounts of money at the bank, making massive transactions, being hunted by the FBI, and getting naughty with some of the loveliest ladies to be found in the Mini Apple. We are thrilled to be working with the multi-talented J-flo and the creative, vegetarian, insomniac filmmaker Justin Staggs all in one package. Please join us in establishing this fresh new name! Be sure to reach out to HIP HQ for any giveaways and contests, because we’ve got plenty of J-flo gear on hand. If you need more info, call Andy Gesner at 732-613-1779 or e-mail us at HIPVideo@aol.com. 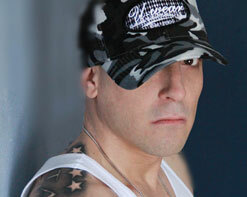 You can also visit www.Myspace.com/UnifyRecords to find out more about J-flo.